There is no doubt that the rate at which Ghanaians are committing suicide has really skyrocketed over the past few months. About two weeks ago, myjoyonline reported a suicide case involving the daughter of a parliamentarian. It was obviously a big deal because it involved the daughter of a bigwig in our society. A week later, the same joy news portal reported another suicide case involving a Legon student who jumped to her death at the 4th floor of the Akuapim Hall. 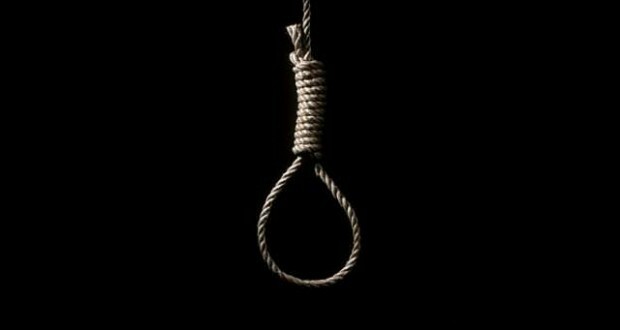 Another middle aged man from the Achimota vicinity was also reported to have committed suicide just last week. What really struck my attention regarding this domino effect of suicide cases was when citifmonline reported that a 30-year old man from Half-Assini has allegedly committed suicide. Suicide is a very common topic in western world and I believe it is safe to say that our friends from the west tend to commit suicide more than us (Africans). It seems like taking one’s own life is becoming a norm in our Ghanaian society. Many people have commented on this issue including John Dumelo, a household actor who had some few words to share. He suggested that “we should open up more to friends and family who are troubled”. Indeed venting to others and seeking help can change this unbecoming trend but our media coverage on such issues needs to be checked. Media coverage on suicide cases is rather promoting self-killing. Mainstream media plays a vital role in our society. Nevertheless, the way the news media cover tragedies in modern day Ghana has a big impact on young minds. Dr. Park Dietz, a well-known American criminal profiler who is also a consultant for popular TV show “Law & Order” has warned about coverage on crimes and suicides. Excessive coverage on crimes may lead young people to go out and commit copycat crimes. When people are constantly exposed to excessive coverage of a crime, they tend to replicate those crimes according to Dr. Dietz. He simply asserts that “human beings are natural mimics who unconsciously mimic others”. Sometimes the media can amplify issues just by the way they report these issues. Giving out irrelevant details about a crime may help people who are willing to commit such crimes. When criminals are glamorised and given such attention, their acts become admirable by certain people who tend to follow in the footsteps of the “celebrity-crime”. Dr. Dietz also makes some reflections on the reportage of suicide as well and calls it the suicide contagion. Robin Williams, a very famous American actor committed suicide back in 2014. Once news got to the public that Robin had committed suicide, The Academy for Motion Picture Arts and Sciences tweeted “Genie, you’re free”. Dr. Dietz explained that the day before Robin’s death, the National Suicide Prevention Lifeline received about 3,000 calls on its hotline but the day after Robin’s death, over 7,375 calls were made to the organization. In Ghana, when the MP’s daughter passed away, media outlets gave unnecessary details about her passing away. They gave information about her age, the school which she attended, area of study and rumored reasons for her death. The most unnecessary information that was let out by the media was a note she left that read “sorry mummy and daddy for not being the girl you want me to be”. Dr. Madelyn Gould of New York State Psychiatric Institute warns that the more sensational the coverage of suicides, and the more details the story provides, then the more likely there are to be more suicides. I am sure before the death of the MP’s daughter, people were committing suicides but the method of reporting wasn’t as sensational and detailed as this one. I think her suicide received a nationwide hype and attention due to the social class she belonged to as well as her father’s position. It is safe to say she was famous because of the role her father plays in the society. Dr. Dietz revealed that “the link between news and future suicides was strongest when the media reported on the suicide of a famous person”. This has manifested in the case of the MP’s daughter. Media reports on this particular case and the fact that she was a famous person may have a direct link to the rampant suicides in Ghana. Suicides are contagious and glamourizing this act by giving unnecessary and detailed reports will only lead to its proliferation. News outlets must devoid from celebrating these unfortunate circumstances. When suicide rates reach a spike because of media over-reporting, the media become an accomplice and facilitator of consequent suicides. We must also take note of the kind of pain family members go through when they are constantly reminded of their loved ones who committed suicide. “Suicidologist calls for national policy to prevent suicide,” Myjoyonline, 9th March 2017. Web 12th March 2017. “Driver commits suicide in Half-Assini,” Citifmonline, 11th March 2017. Web 12th March 2017. Dietz, P.,“ Suicide Contagion,” Park Dietz & Associates, Web 12th March 2017.